In a project to upgrade the Airfield, Naval Air Station Oceana (NTU) in Virginia Beach, is reconstructing the runway and implementing LED lighting from ADB SAFEGATE. Not only will Oceana Naval Air Station see a reduction in energy usage, but also a substantial reduction in ongoing maintenance costs related to re-lamping incandescent fixtures. Typically, they would be re-lamping all fixtures one or two times per year. Now, they can go years without the need to re-lamp. Completion anticipated in July 2019. Airfield lighting (also known as airfield ground lighting) has come a long way since its beginnings in the 1940s during the rigors of war-time. Considering the increasing demands on the aviation industry today, what would pilots, airports and passengers have done had they been limited to flying only during daylight? Air traffic demand is rising and will double within 15 years, just as it has done since the 1970s. 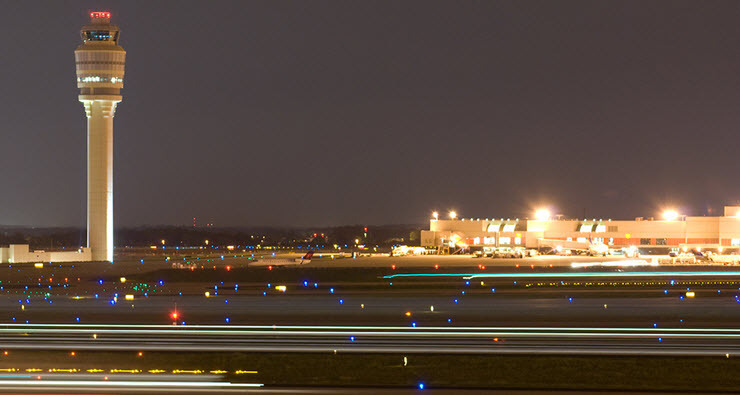 Airfield lighting has played a significant part in enabling the growth of the aviation industry that has revolutionized how we travel, work and enjoy our leisure time.